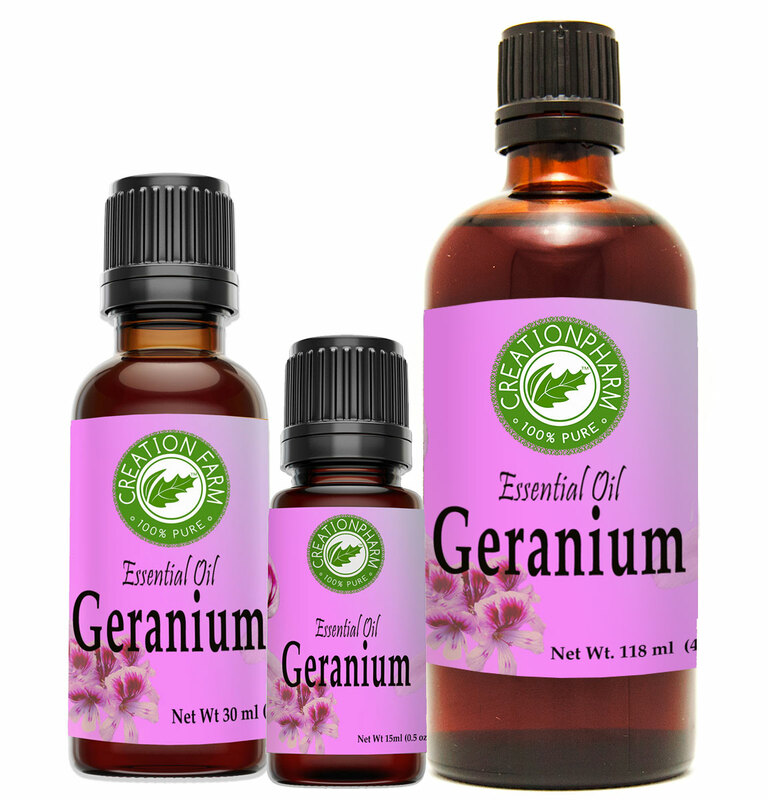 Geranium Essential Oil - Aceite Esencial de Geranio is steam distilled from the whole herb pelargonium graveolens and originates mostly from Egypt, China, and South Africa. The Geranium essential oil is described as creating a fresh and sweet herbaceous floral aroma with a fruity note and the suggestion of Rose. The Geranium essential oil is described as thin oil having a pale yellow green color with the aroma considered a strong middle note by perfumers. Geranium blends well with Angelica, Basil, Bergamot, Carrot seed, Cedarwood, Citronella, Clary Sage, Grapefruit, Jasmine, Lavender, Lime, Neroli, Orange, Patchouli, Rosemary, and Ylang-Ylang. Geranium oil has long had a reputation as a versatile essential oil with many applications being well documented.